away from the cloistered life of convents. 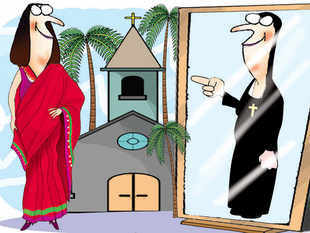 KOCHI: Shrinking family sizes and expanding career opportunities for women are posing a problem for the Church. In Kerala, the state that sends the highest number of candidates to become nuns, fewer women are now taking vows to renounce worldly pursuits and devote themselves fully to religious life. The Church sees a drop in the number of people with intense desire to do service, not just in God's own country, but globally. Social activists say greater empowerment and the fact that churches are ..